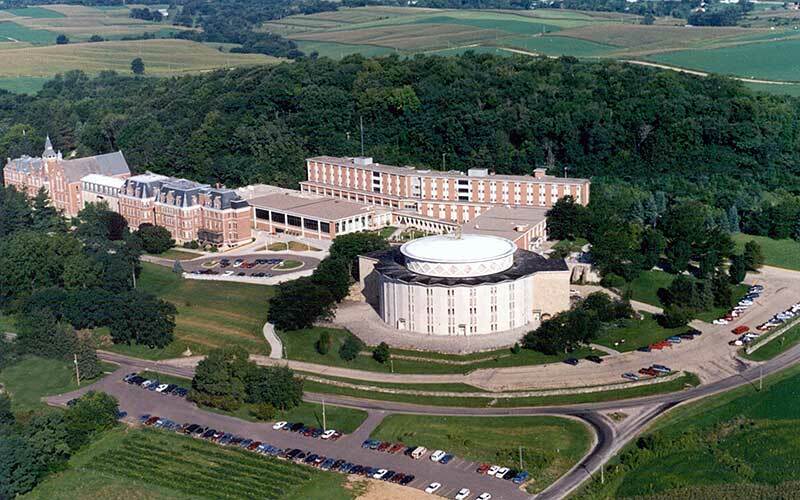 SINSINAWA, Wis.—On Dec. 19, work will begin to restore the savanna ecosystem on the elevation known as Sinsinawa Mound in southwest Wisconsin. Ronald Lindblom, land stewardship director for Sinsinawa Dominicans, Inc., will oversee the process of clearing nonnative trees from the mound so that the current forest is transformed into a 28-acre oak savanna, one of the rarest ecosystems on the planet. Dr. Cummings will discuss two Dominican candidates for canonization in the context of already recognized American saints, such as the North American martyrs, Frances Cabrini and Elizabeth Ann Seton. She will describe not only the lives of these holy men and women but also their “afterlives” in American historical memory—and will propose that Mazzuchelli and Hawthorne may well be the saints the United States needs today. Dr. Cummings is Associate Professor of American Studies at the University of Notre Dame. 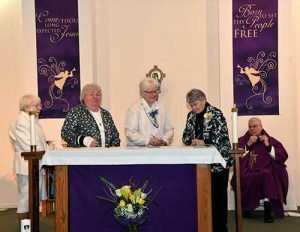 Sr. Elizabeth Jackson (far right) signed her perpetual vows as a Dominican Sister of Peace at the Congregation’s Motherhouse in Oxford, MI, on December 2. Witnesses included Sr. Aimee Ryan, far left, Sr. Rebecca Nolan, and Prioress Sr. Patricia Twohill. Monsignor Frank P. Lane looks on. 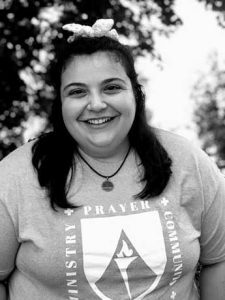 Oxford, MI – Sr. Elizabeth Jackson, OP, made her Perpetual Vows as a Dominican Sister of Peace in a beautiful December 2, 2018, Mass in the chapel at the Congregation’s Motherhouse in Oxford, MI. 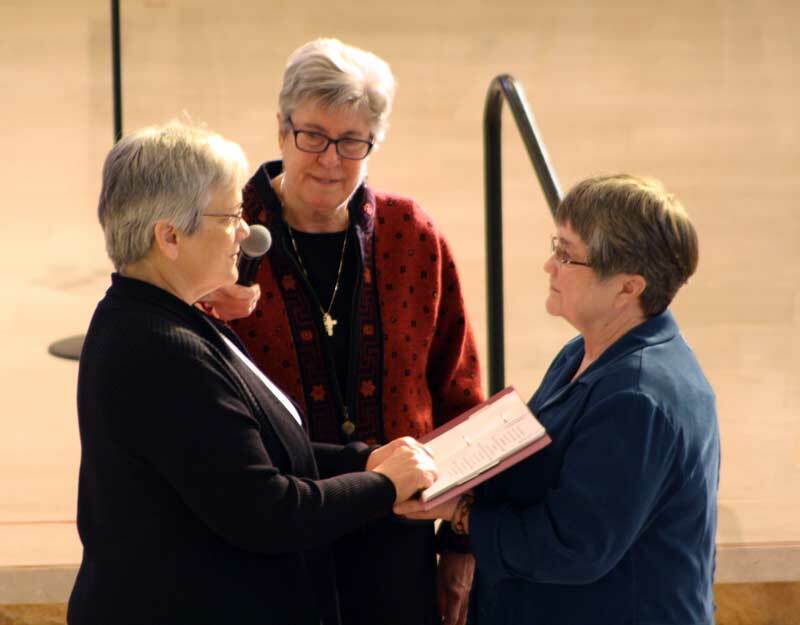 Sisters Aimee Ryan and Rebecca Nolan witnessed Sr. Elizabeth’s vows in a ceremony by the Dominican Sisters of Peace Vocations team and Sister Pat Twohill. The Mass was presided over by Monsignor Frank P. Lane of the Columbus, OH, diocese, and music was provided by Christine Heber of the St. Dominic’s Chapel Choir.